For weights up to 150 kg. 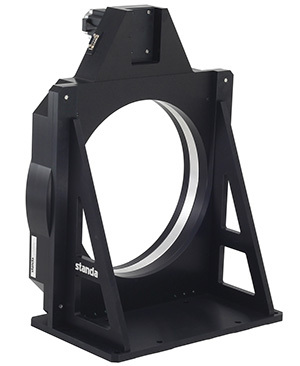 Standa introduces extra large aperture motorized rotation stage 8MRB450-350-60 which provides precision angular positioning accuracy combined with high load capacity. 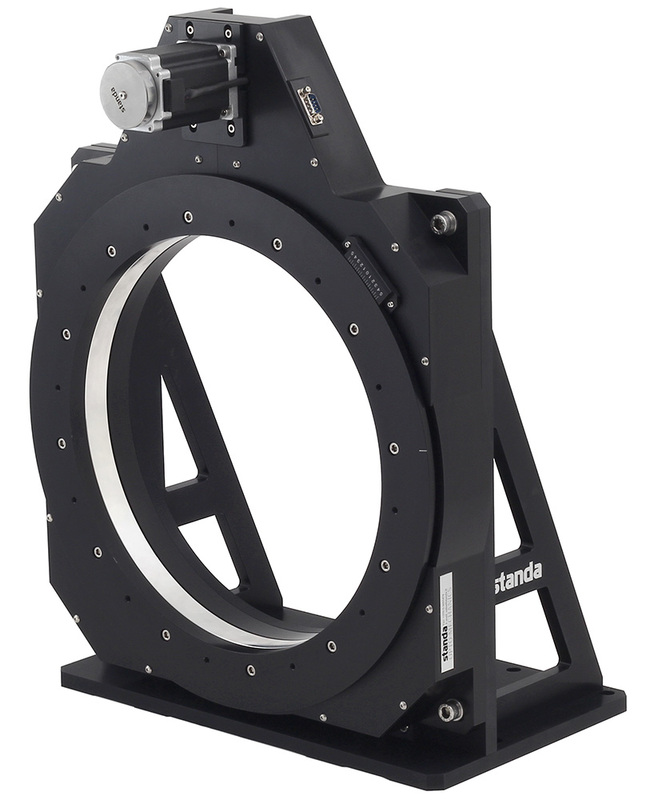 Rotation stage body is constructed of anodized aluminum and has single monolithic design; rotation accuracy ensured by the precision bearings and belt drive system - all that provide improved stiffness without affecting a dynamic performance. The stage is driven by the stepper motor (or servo on request) with programmable micro-stepping resolutions to provide sub-arcminute angular positioning.